Don't wait until the last minute to make plans for a memorable Easter vacation or a Spring Break blast! 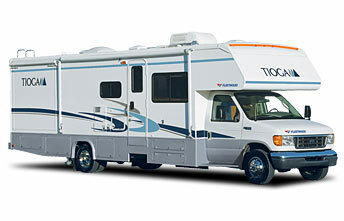 El Monte RV makes planning your rv vacation easy with nationwide locations and a wide selection of motorhome models. Call us at 888-337-2212 or book online. Let us help you plan your great on- the-road vacation! Visit our rv rental locations page to find a pickup location that is convenient for you. The Kobalt Tools 500 at Atlanta Motor Speedway on March 7th! The Food City 500 at Bristol Motor Speedway on March 21st! The Goody's Fast Relief 500 race will be at the Martinsville Speedway on March 28th! 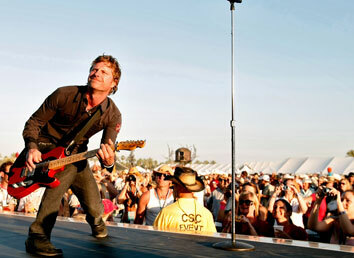 There are lots of hot music festivals coming up in April. You won't want to wait to make your plans to be at one of these awesome events. Camping spots book out fast so make your reservations now! Coming up on April 5th, the Space Shuttle Discovery will lift off from the Kennedy Space Center. Don't wait another minute to make plans to be there! There's nothing more exciting for space enthusiasts and you won't want to miss this next launch of the Space Shuttle Discovery. El Monte RV has an office in Orlando that is just a short distance from the Space Center compound. 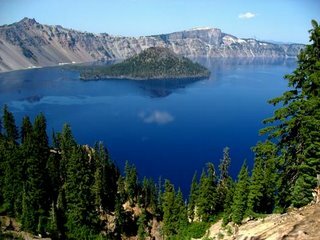 Who can think of Oregon without thinking of Crater Lake National Park" Crater Lake National Park?! This spectacularly beautiful lake is the 7th deepest in the world, and the deepest in the United States. Crater Lake is located in southern Oregon on the crest of the Cascade Mountain range, and lies inside a volcanic basin. Approximately 530 inches of snow annually provide it's sole source of pristine, beautiful water; there are no inlets to the lake. While there are no vehicle roads to the lake, you won't want to miss Rim Drive. Crater Lake also has fishing, swimming, boating, bird watching hikes and more! There is one campground within the park - Mazama campground, which is open mid-June to October, depending on weather conditions. Make your plans now for a vacation to this extraordinarily beautiful park. Please check our locations page for the rv rental office that is most convenient for you. 1. In a 6 quart Dutch oven, Place the beef brisket, peppercorns, garlic powder, onion, bay leaves and salt. Fill pan with water to cover everything plus one inch. Bring to a boil and cook for 20 minutes. Skim off any residue that floats to the top. Reduce heat to a simmer and cook for 2 to 3 hours, until meat can be pulled apart with a fork. 3. Remove meat from the pot and place onto a serving dish and let rest for 15 minutes. Also remove vegetables to a bowl and keep warm. Slice meat on the diagonal against the grain. Serve meat on a platter and spoon juices over meat and vegetables. This 2005 Class A motorhome comes with a large slide-out, queen bed, generator, tv, satellite dish, lots of storage and much more! Sleeps up to 8. Like new!